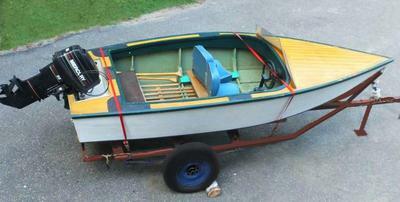 I bought a homemade 14' wood/fiberglass ps a 20 h.p.wer boat 5 years ago. It has a 20 h.p. Mercury outboard. 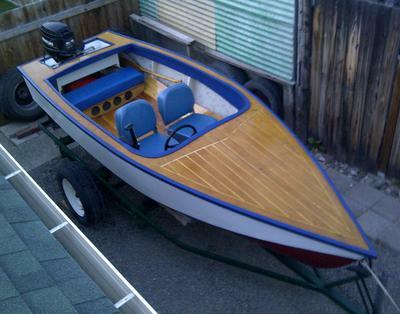 I put a floor in it, made a back bench seat, spar varnished the plywood deck and re-painted it.